JAMAICA, Brooklyn (WABC) -- Four 15-year-old boys were questioned after a student was robbed of his cell phone in a school cafeteria. The teens are accused of mugging another 15-year-old boy in Thomas Edison High School in Jamaica, Queens. The incident was around 8:30 a.m. on Thursday. The victim told school officials, and they detained the four boys. 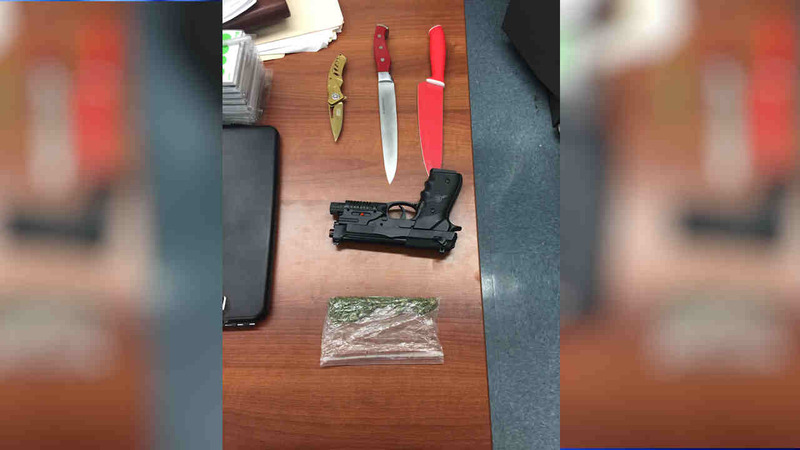 According to the New York City Police Department, the four had three knives, a BB gun and marijuana. Two of the boys were charged with robbery and criminal possession of a weapon.